Written by Melissa on Dec. 17, 2017 in Tutorials. One step in our polish phase of remastering "(I Fell in Love With) The Majesty of Colors" was to make sure all devices are consistently showing the game with the correct colors. If you aren't a developer (or not one of multiplatform games), you might be surprised at how differently devices can display a game. We ran into an interesting issue in that process. Unity 5.6 has two color space options for rendering: gamma and linear. 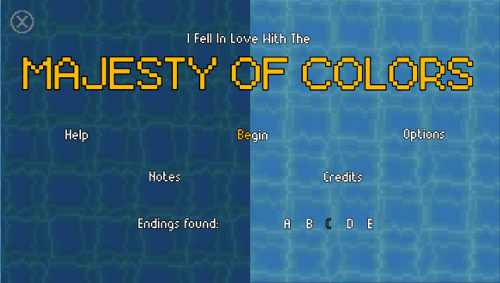 After looking at "The Majesty of Colors" in both, we liked the look of it in a linear color space better. The colors are brighter, which is in line with the idea of a sea monster looking up to the surface of the water. Some of our textures were showing up incredibly washed out and garish. The fix for this was difficult to find, but easily fixed: each of those washed out textures needed an override for Mac and iOS to set the format to "RGBA 32 bit". The ones that were broken were often set to "ARGB 16 bit". Hopefully having this clearly posted somewhere will help folks down the line! 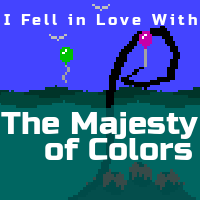 You can add "The Majesty of Colors" to your Steam or itch.io wishlists. Members of the press and streamers can check out our presskit or request a key on Promoter. Last update on Dec. 19, 2017 .